See the properties and their building in real-time. 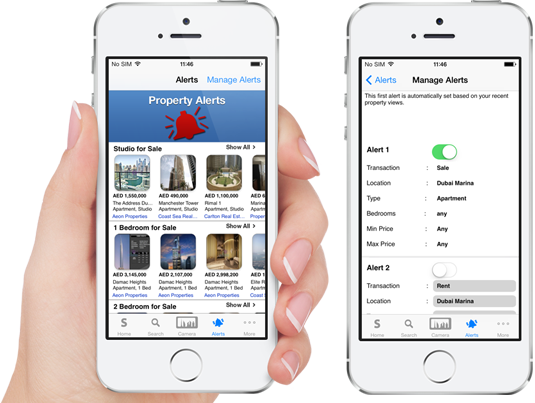 No time to search, No problem, setup property alerts and be automatically informed using push notifications when new property which matches your alert criteria is listed. 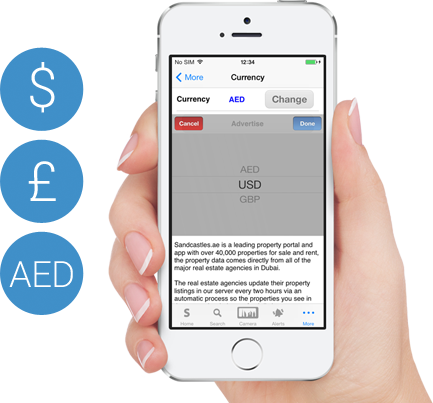 Choose from AE Dirham, US Dollar and GB Pound, then search all properties in your preferred currency. 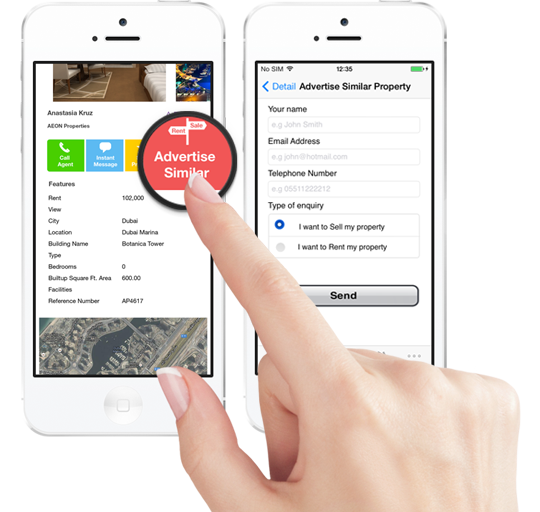 Get property alerts via push notification, only for new properties which match your alert criteria. 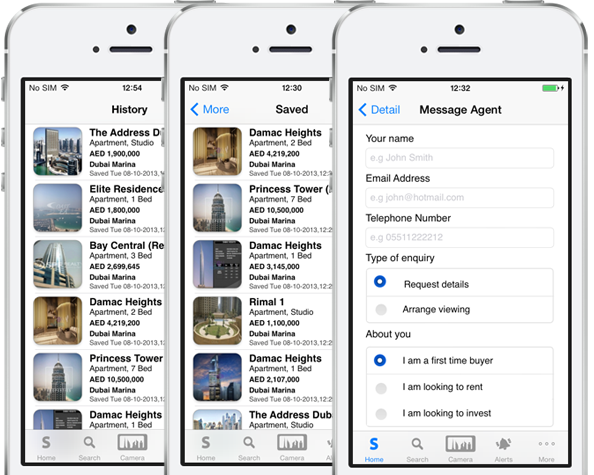 Set multiple alerts for Sale or Rent and turn On and Off individually. Locations and Area lists with thumbnails for quick location selection. Location button is placed at the top on the main app menu. Easy to switch between locations for quick comparisons. 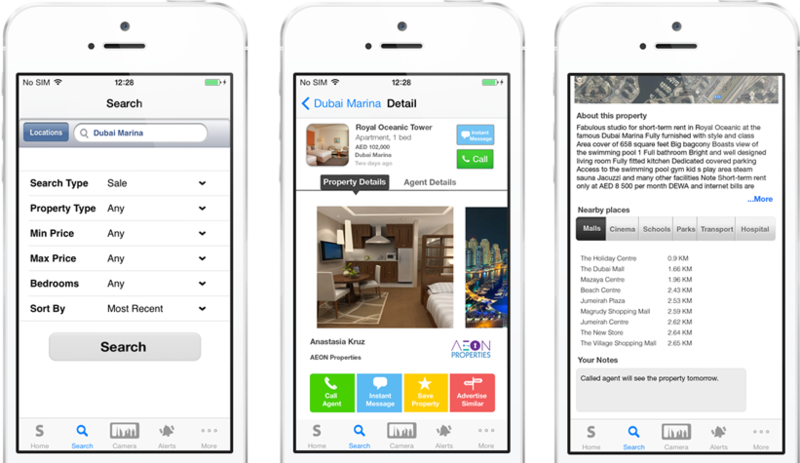 With our second release we have improved so much with your feedback, worked to present you with the best Property App for Dubai. New features and enhancements focused on making the App do more of the work so you can spend more time choosing, not chasing. shopping window of property results. 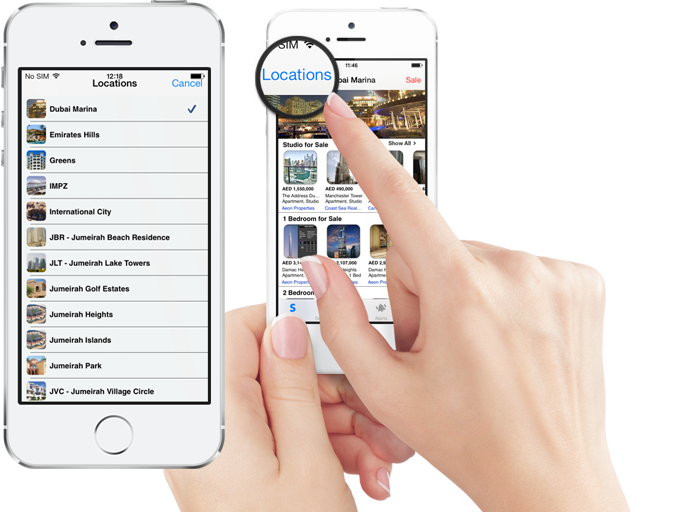 Point your iphone at a building to see what is on offer. remember your conversations and thoughts. Communicate instantly using the inbuilt instant messaging service which makes sure your message is delivered. Save for Later. 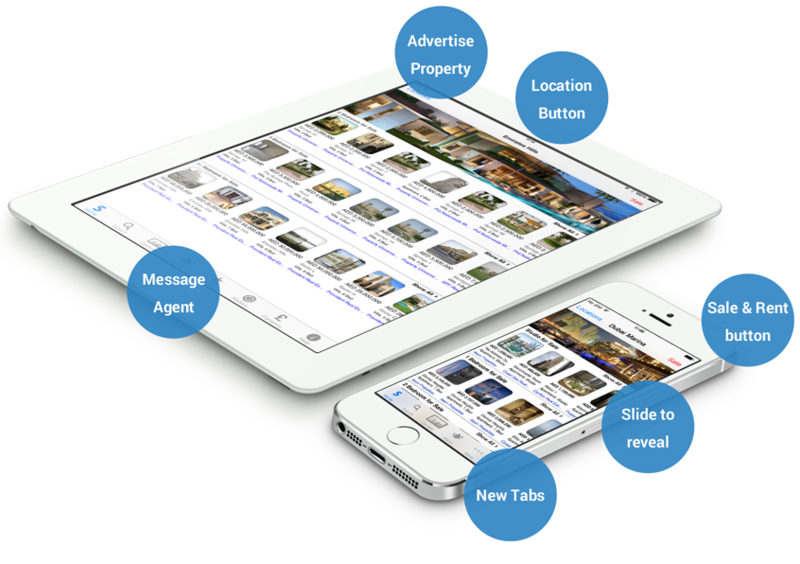 We understand that property searching can be a tedious, time consuming task. Sometimes we just want to save it for later. One tap and it's done. Where did it go? Did you see a property that you liked and now cannot find it, no problem we store up to a 100 properties in history. Only need to set it once to either AE Dirham, US Dollar or GB Pound and its saved.....forever. View property prices in your preferred currency anytime, every time. If so, you can send the property details to property agents free of cost. © 2007-2019 Sandcastles.ae. All Rights Reserved.